Health sector buildings impose very specific demands on architects and structural engineers. On one hand, the smooth running of treatments must be ensured and, on the other hand, patients need a pleasant atmosphere in which they can recover. In this article you can learn what hospital construction will look like in the future and what the expression "therapeutic architecture" means. Hospitals are complex buildings which provide a number of functions under one roof. Sterile and non-sterile areas have to be very strictly separated from each other. Surgery rooms and intensive care units, on the other hand, must be in close proximity to each other. In turn, the helicopter deck should be close to the emergency room so that doctors and nurses can take care of patients as quickly as possible. Additionally, lounges and treatment rooms, labs, offices and cafeterias are part of standard facilities. At the same time, architects and engineers must create a patient-friendliness to harmonize with the functional aspects. Increasing competition among private hospitals is making attractive design concepts more important. 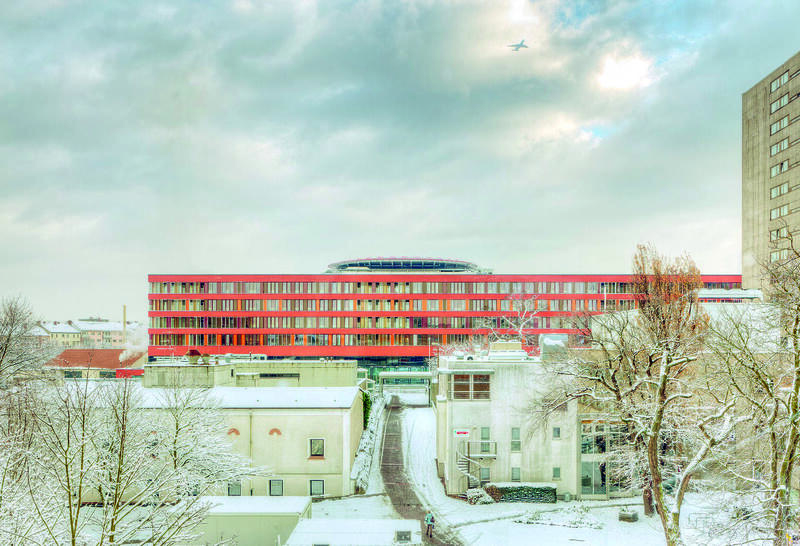 The faculty for "Design of hospitals and buildings in the health sector" at the Technical University of Berlin is unique in Germany and is concerned with the question of "therapeutic architecture." The hospital architecture of the future should promote healing processes as well as offer orientation, clarity and safety for patients. This may be achieved by things such as innovative color and light concepts, novel materials or visual references. In 1984, Roger Ulrich of Texas A&M University came to the conclusion, in his well-known study, that a view of a surrounding green environment significantly promotes patient health. Corresponding pilot projects are currently being developed at the Charité hospital in Berlin and in a children's hospital in Freiburg. 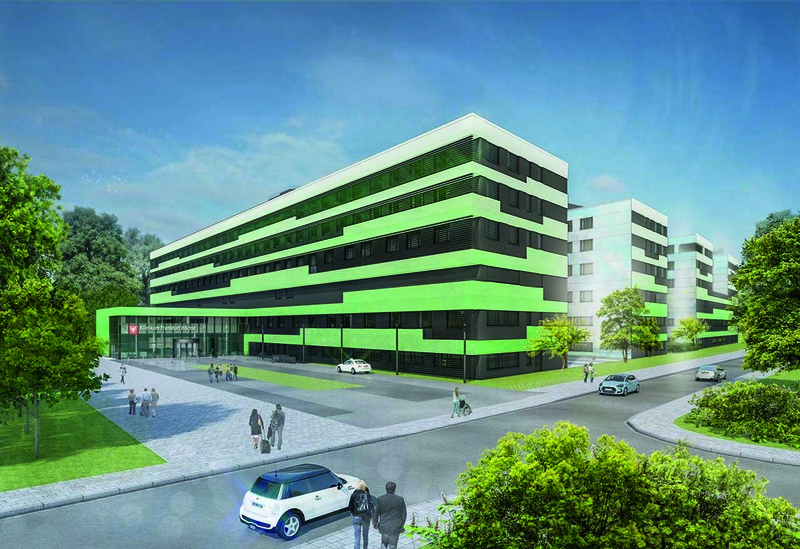 Holistic planning was the focus of the Frankfurt-Höchst Medical Center. The contractor of the new construction was the city of Frankfurt/Main and they had an ambitious aim: to build in a future-oriented and sustainable way. To this end, the planning firm of wörner traxler richter developed the first hospital in Europe with a passive house standard. It was a massive challenge because the infrastructure, like lighting and elevators, as well as a complex system for warm water and ventilation, needed a lot of energy. Thanks to an interdisciplinary BIM procedure and innovative building technology, the planners were able to simulate the thermal behavior of the hospital building and then base optimization measures on that for the technical equipment even before starting construction. The state-of-the-art Offenbach Medical Center was completed in 2012. The planning firm, wörner traxler richter, was also responsible here for the new construction and rebuilding of the complex. It meets the latest medical standards and yet is an example of poetic architecture. The courtyards, for example, are differently colored and form a harmonious group together with their luminous facades. A specially developed orientation system guides patients and visitors around the building. Attractive colors and patterns are also used here. In addition, the planners created lighting solutions that make the stay for patients as pleasant as possible. Architects and structural engineers have to plan and structure modern hospital buildings with a particularly high level of detail. Only a holistic and interdisciplinary approach make it possible to successfully combine room arrangements, passenger routing and the whole organizational concept. In this context, scientists at the Technical University of Brunswick have developed a new planning system that includes patient flow designs, demand forecasts and a determination of space required for constructing hospitals. 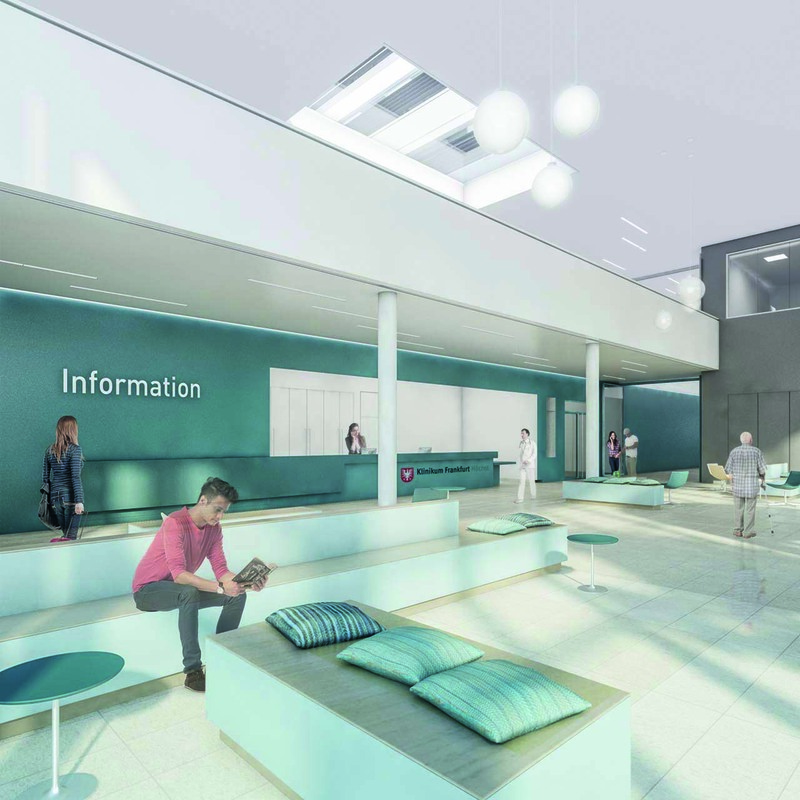 The architecture of hospitals will undergo further changes in the future. Due to rapid developments in the technical medical sector, the life cycle of hospitals has dropped today to between 20 and 30 years. At the same time, society is aging, which brings with it new requirements. One of these will be concerns about barrier-free building and living.